Preparing a property for the rest of the season and the upcoming hot summer temperatures could also help prevent costly repairs and increase the building’s energy efficiency. Several weeks into the spring season and people are enjoying warmer weather and longer days of sunlight. The start of spring is also an excellent time to check the condition of a home or commercial property. 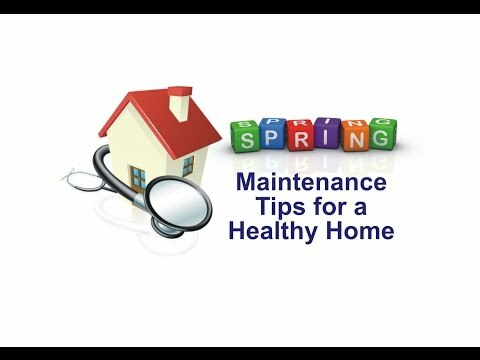 Some basic preventive maintenance tasks performed now can help to ensure a property is in good condition to provide a safe, healthy and comfortable place for the months ahead. Change filters in the HVAC system and consider having the air conditioner checked by a qualified professional. Also inspect the air ducts for the buildup of dust and debris. Clean outdoor air conditioning components and clear vegetation from around the area. Remove leaves and obstructions from gutters and downspouts and ensure water is draining away from the building. Also check for any damage from past ice dams. Check for any damage to the chimney, vents and roof, and be sure skylights are properly sealed. Check windows and doors for drafts and inspect and replace any worn weather stripping. Consider having the clothes dryer vent professionally cleaned and inspect the washing machine water supply hoses. Also draining some types of water heaters can help remove sediment that may have built up. Check indoor and outdoor faucets for any leaks. Repair cracks in concrete, stucco or asphalt. To learn more about this or other indoor air quality (IAQ), occupational, environmental, health and safety testing services, please visit www.csceng.com, email csc@csceng.com or call (800) 807-1118. CSC was established in 1989 to help clients in both public and private sectors address indoor air quality (IAQ), environmental, health and safety (EH&S) issues. CSC is a leading provider of these services with multiple offices along the western seaboard and southwest. The company believes in science-based protocols and has a strong background in engineering, making them the preferred environmental consultants to industrial clients, healthcare facilities, architects, schools, builders, contractors, developers and real estate professionals.